Umbraco will auto-route some controllers automatically. 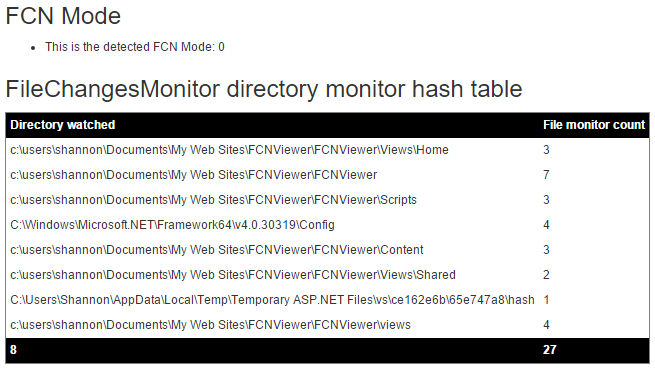 These controllers are any MVC SurfaceControllers or WebApi UmbracoApiController types discovered during startup. There might be some cases where you just don’t want these controllers to be routed at all, maybe a package installs a controller that you’d rather not have routable or maybe you want to control if your own plugin controllers are auto-routed based on some configuration. //and the TagsController from being routed. I had the pleasure of attending and speaking at this year’s Umbraco Down Under Festival which was fantastic! Thanks to everyone at KØBEN digital for putting on such a nice event as well to all of the sponsors Zero Seven, Tea Commerce and Luminary in helping make it all happen. And what great timing to have an Umbraco festival just after Umbraco v8 is launched! Big thanks to Niels Hartvig for coming all the way from Denmark, it certainly means a lot to us Australians (yes, I am one too even with this Canadian accent!). 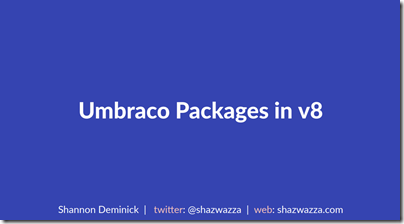 My talk this year was on Umbraco Packages in v8 though much of it was really about transitioning to v8 in general. Here is the rendered PDF version of my slides, of course it doesn’t come with all of the nice transitions but it’s better than nothing. My slides were done with the brilliant GitPitch service which I absolutely love. Not only does it make presenting code so much nicer/easier, it just makes sense to me as a developer since I can just write my slides in Mardown and style them with css. Plus having your slide deck in Git means making new slides out of old slides quite nice since all your history is there! I tried to break down the talk into 3 sections: Migrating, Building and Packaging. “Migrating” was a bit of a walk through between some fundamental things that have changed between v7 and v8 that not only package developers will need to be aware of but anyone making the transition from v7 to v8. “Building” showcased some new features for packages and v8, though I didn’t talk about one of the major v8 features: Content Apps, because Robert Foster was already doing a talk all about them in the morning. Instead I focused on how Dashboards work in v8 and a couple currently undisclosed v8 features: Full Screen Sections (sans c#) and Package Options. “Packaging” may have been a bit rushed but I thought I was going to go overtime :P I talked about the new packager UI in v8 and that it is certainly possible to build packages for CI/CD integration with PowerShell scripts to build an Umbraco package from a command line. I’d like to make this far more straight forward than it is now which is something I’ll work on this year. You can find this PowerShell script here and a newer example in Articulate here. Lastly I mentioned that there is a disconnect between the Umbraco package format and the Nuget package format with regards to installing Umbraco data and that it would be nice to make both of these work seamlessly as one thing… and this is certainly possible. I created a PR a very long time ago to address this called Package Migrations (even though it says Morten made it … he actually just submitted the PR ;) ). I need to write a blog post about what this is and how it is intended to work so we can hopefully get some traction on this this year. The very brief overview is that package updates would work very similarly to Umbraco updates, if an update is detected that requires a migration, the installer will execute to guide the user through the process and to provide UI feedback if anything fails along the way. This way package developers can properly leverage the Migrations system built into Umbraco and Umbraco data will happily be installed on startup even if you install a package from Nuget. The main barrier currently is that Umbraco Cloud will need to natively support it otherwise people will get the installer screen on every environment when they push a package update upstream which is not great, Umbraco Cloud should instead run the migration on the upstream environment in the background just like it does with Umbraco updates. Lastly I talked about how Articulate currently manages this situation between the Umbraco package format and the Nuget package format. Looks like UDUF is moving to Sydney next year, so we’ll so you all there! This post is about configuring Azure Active Directory with Umbraco Members (not Users), meaning this is for your front-end website, not the Umbraco back office. 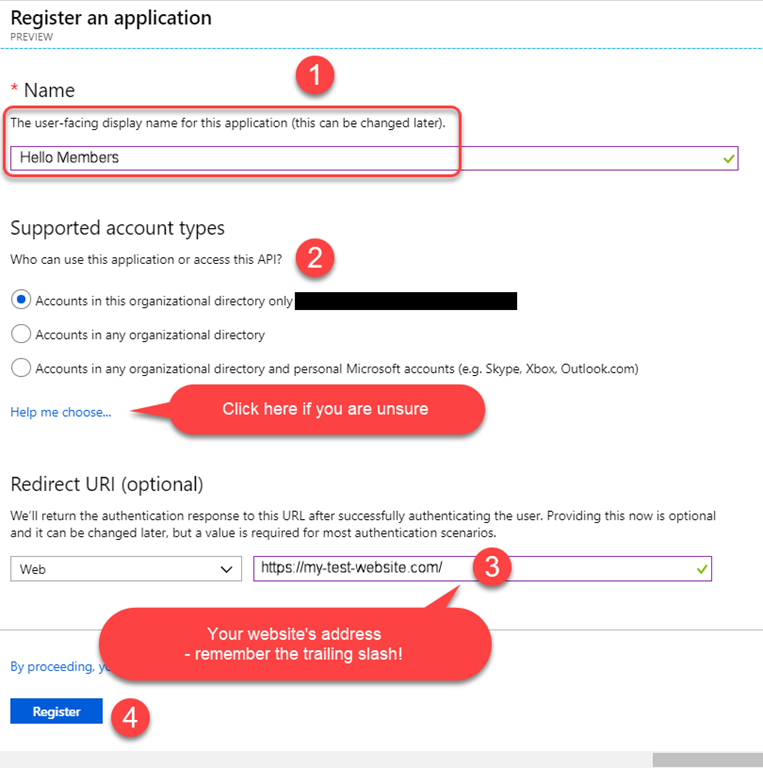 I did write up a post about Azure AD with back office users though, so if that is what you are looking for then this is the link. 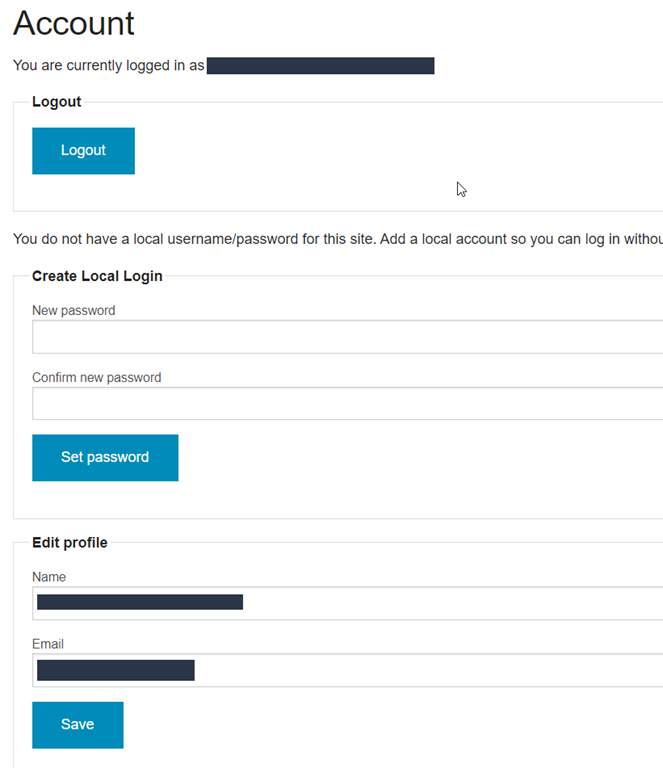 First thing to do is get the UmbracoIdentity package installed. This package installs some code snippets and updates your web.config to enable ASP.Net Identity for Umbraco members. Umbraco ships with the old and deprecated ASP.Net Membership Providers for members and not ASP.Net Identity so this package extends the Umbraco CMS and the Umbraco members implementation to use ASP.Net Identity APIs to interact with the built in members data store. Installing this package will remove the (deprecated) FormsAuthentication module from your web.config and it will no longer be used to authenticate members, so the typical members snippets built into Umbraco macros will not work. Instead use the supplied snippets shipped with this package. To read more about this package see the GitHub repo here. You may also need to enter other redirect URLs depending on how many different environments you have. 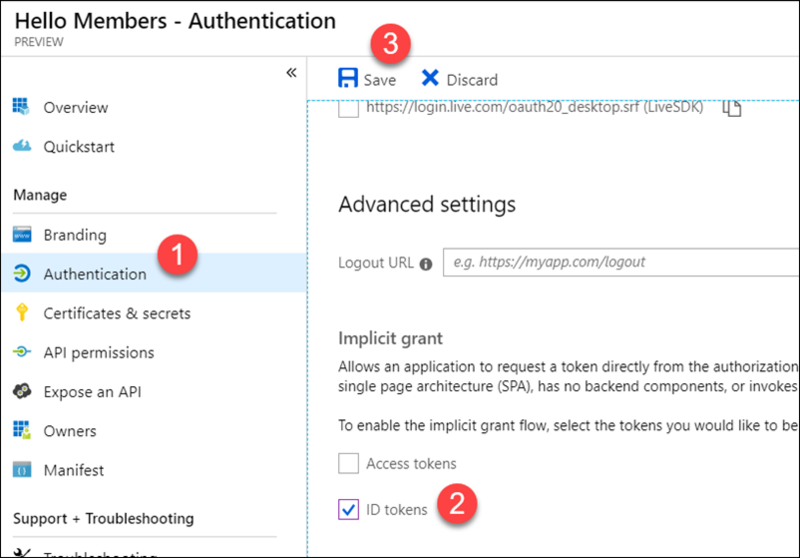 All of these URLs can be added in the Authentication section of your app in the Azure portal. For AAD configuration for front-end members, the redirect Urls are just your website’s root URL and it is advised to keep the trailing slash. If you scroll down to the ConfigureMiddleware method, there will be a link of code to uncomment: app.UseExternalSignInCookie(DefaultAuthenticationTypes.ExternalCookie); this is required for any OAuth providers to work. The purpose of all of these snippets and views installed with UmbracoIdentity is for you to customize how the whole flow looks and works so you’ll most likely end up customizing a number of views found in this folder to suit your needs. Attribute routing in ASP.Net WebApi is great and makes routing your controllers quite a bit more elegant than writing routes manually. However one problem I have with it is that it is either “on” or “off” at an application level. 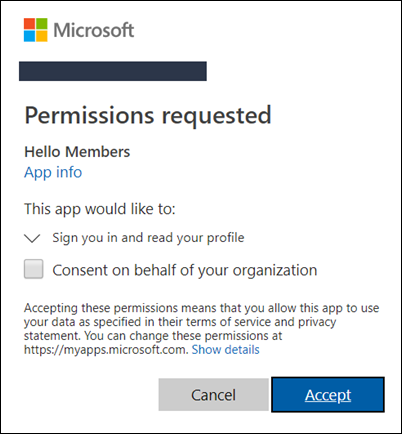 There is no way for a library developer to tell ASP.Net to create routes based on attributes for specific controllers or assemblies without forcing the consumer of that library to enable Attribute Routing for the whole application. In many cases this might not matter, but if you are creating a package or library of that contains it’s own API routes, you probably don’t want to interfere with a developers’ normal application setup. There should be no reason why they need to be forced to turn on attribute routing in order for your product to work, and similarly they might not want your routes automatically enabled. The good news is that this is possible. With a bit of code, you can route your own controllers with attribute routing and be able to turn them on or off without affecting the default application attribute routes. A full implementation of this has been created for the Umbraco RestApi project so I’ll reference that source in this post for the following code examples. The first thing we need is a custom IDirectRouteFactory which is actually a custom attribute. I’ve called this CustomRouteAttribute but you could call it whatever you want. This custom attribute just wraps the default WebApi RouteAttribute’s IDirectRouteFactory implementation so we don’t have to re-write any code for that. /// with default application routes. So far this is all pretty straight forward so far but here’s where things start to get interesting. Because we only want to create routes for specific controllers, we need to use a custom IHttpControllerTypeResolver. However, since the HttpConfiguration instance only contains a single reference to the IHttpControllerTypeResolver we need to do some hacking. The route creation process for attribute routing happens during the HttpConfiguration initialization so we need to create an isolated instance of HttpConfiguration, set it up with the services we want to use, initialize it to create our custom routes and assign those custom routes back to the main application’s HttpConfiguration. You can see the full implementation of this extension method here which includes code comments and more details on what it’s doing. The actual implementation of this method also allows for some additional parameters and callbacks so that each of these routes could be customized if required when they are created. There is obviously a bit of code involved to achieve this and there could very well be a simpler way, however this implementation does work rather well and offers quite a lot of flexibility. I’d certainly be interested to hear if other developers have figured this out and what their solutions were.